A nightmare of vice and corruption stretching to the very heart of the Police force to the Cabinet. 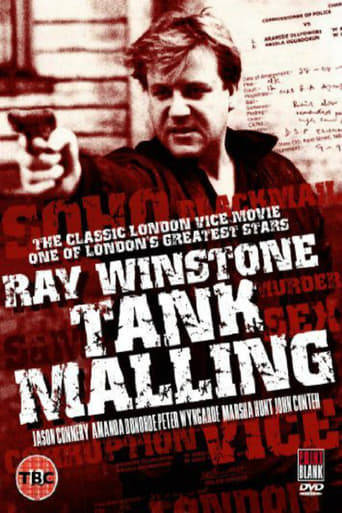 Tank (Ray Winstone) is an investigative reporter and jailbird, framed on scant evidence supplied by the London mob. Helen (Amanda Donohue) is the sensuous call-girl who offers Tank amunition and retribution. But, retaliation is swifr and brutal, in the guise of Sir Robert Knights (Peter Wyngarde) and his equally lethal lawyer, Dunboyne (Jason Connery). A series of hideous murders follow as the devil protects his own. Only Malling and Helen can halt the onslaught. But, for how long, and at what price? Directed by A Clockwork Orange and London's Burning actor James Marcus, this film features several London's Burning actors in supporting roles.